The most interesting aspect about the concept is the platform on board, dubbed Windows for wearables. 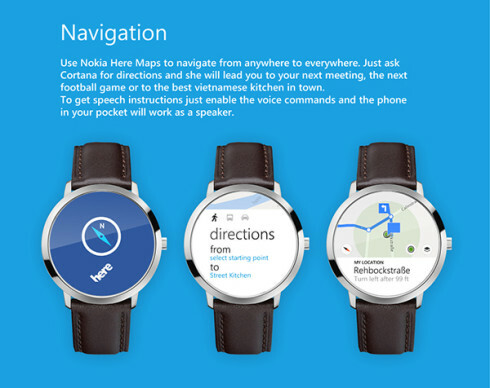 It integrates Cortana in a very discrete form and adapts the likes of HERE Maps to the small and round screen experience. 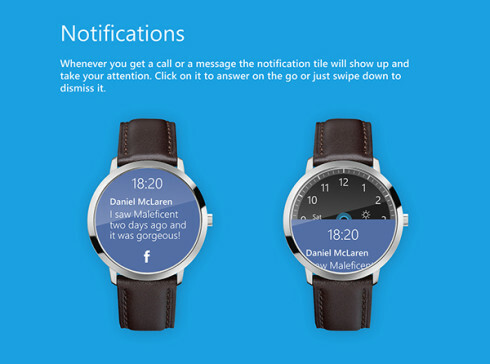 The watchface shows the date, time, weather and most important notification, with Cortana at the core of the experience. 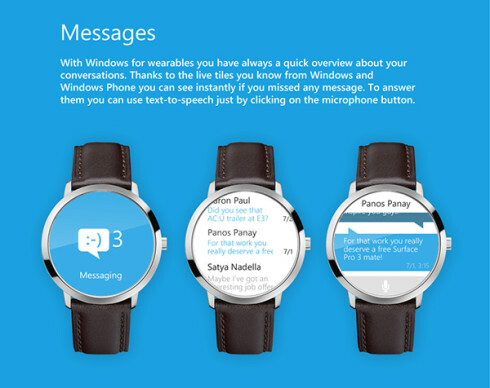 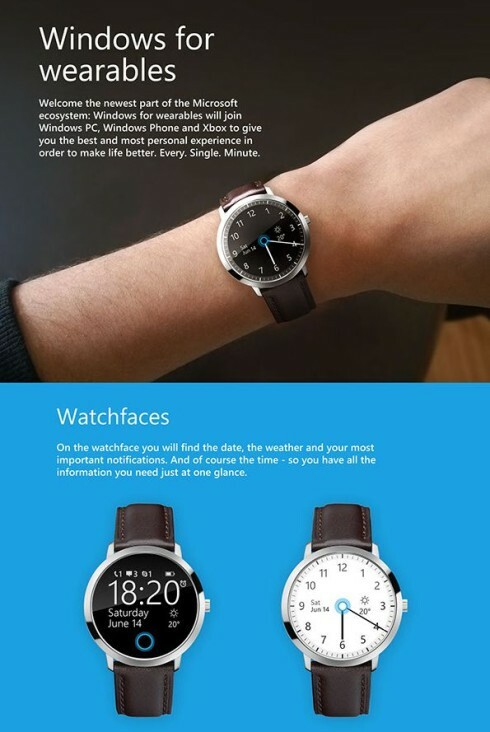 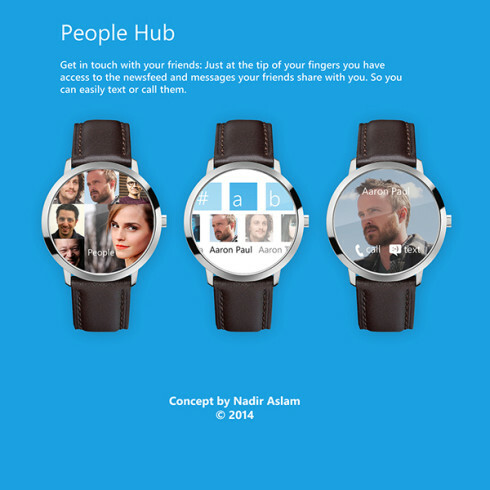 You can customize the Windows Phone watch with a personal background or even use the Lumia Glance feature. Vocal commands are supported, notifications are shown on the full screen, that can fit about 3 or 4 lines of text on it. 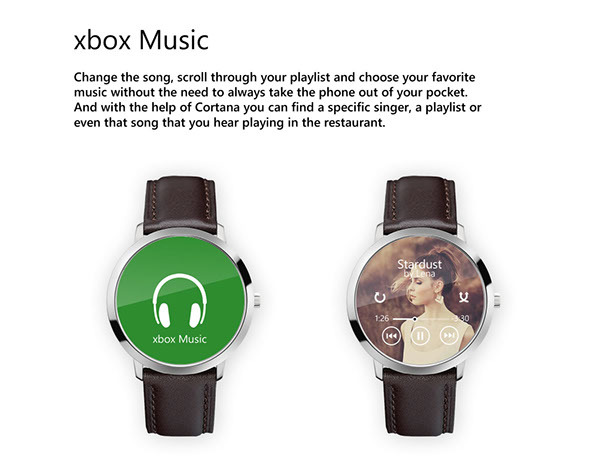 I have figured out what the main idea here is: basically you have an UI the size of the biggest tile in Windows Phone and you swipe around it to interact with other features/tiles. Xbox Music and Xbox Video can easily fit on such a small screen and the People hub looks great on it too. 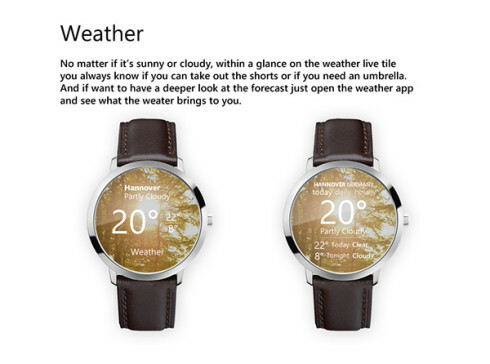 I can’t say I like this more than Android Wear, but it’s certainly a solid rival.